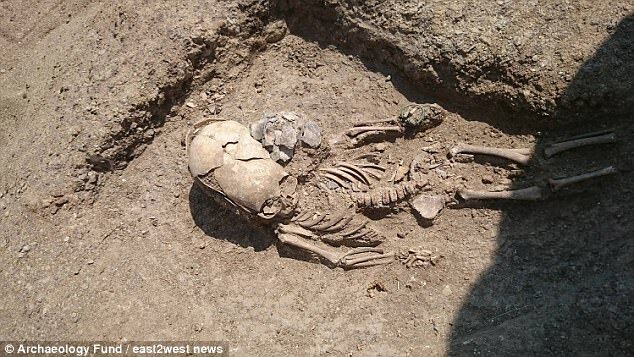 The severe deformations of the skull immediately earned the site the name “alien’s grave,” the Archaeology Fund said. 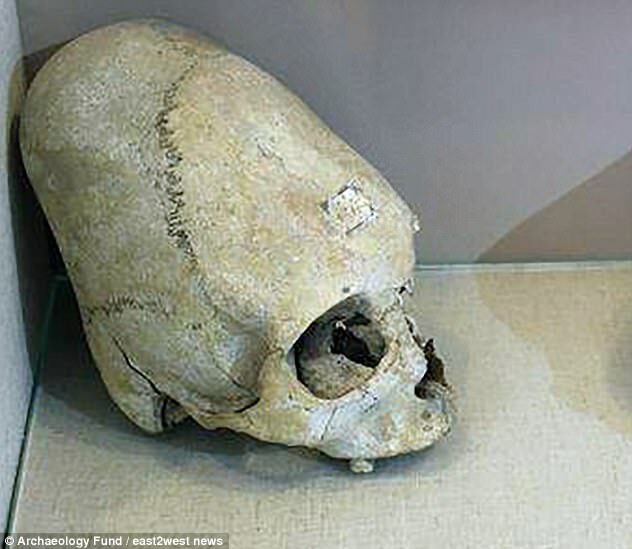 The archaeologists’ group said that such skull deformations were typical for Sarmatians, who once inhabited modern-day Crimea. It is theorized that they may have used it to identify members of certain groups or bearers of a certain social status. 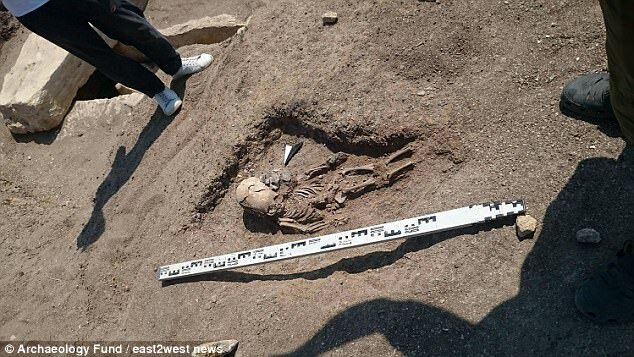 Archaeologists also unearthed a pottery vessel and small beads buried with the ‘alien’ and a copper bracelet on his right hand.